Great deal for a little dinosaur lover in your life. 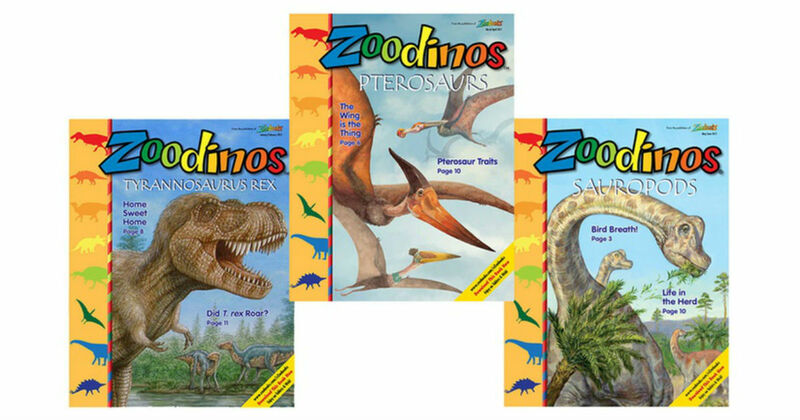 Order Zoodinos Magazine for only $1.00 shipped! Also includes 4 free activities in the magazine and the digital edition. Each 24-page issue is “Dino Packed” with easy to understand information on dinosaurs that will help educate them in a fun and interactive way on creatures past, and how today’s wildlife have features from these pre-historic animals. In approximately 4 weeks your 1 year subscription of your selected magazine will be automatically charged just $29.95 to the credit card on file. But don't worry! You may cancel at any time during your subscription by contacting customer service at [email protected] or 800-992-5034 and receive a full refund on all unmailed issues. If you plan to go this route be sure to call the day you get your $1 magazines.